Townsville is the sunshine city in the heart of North Queensland. 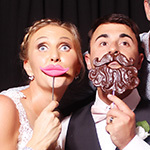 We have the pleasure of providing photo booth hire in Townsville, Ayr, Ingham and Charters Towers. If you’re looking for a Magnetic Island Photobooth, we’re very lucky to say we regularly enjoy events on the island as well! Amidst the backdrop of beautiful beaches, Magnetic Island and the iconic Castle Hill, we have the pleasure of bringing photo booths to some wonderful corporate events, school formals, birthday parties and of course weddings. With a photo booth at the ready Townsville is the perfect place to party. Hi! We are Alyssa and Caroline, Sisters-in-law and proud owners of In the Booth Townsville. We have operated the photo booth hire in Townsville, with our husbands Tom and Michael, since the beginning of 2012 and we are loving it! The booth has taken us all over North Queensland sharing in the fun at weddings, corporate events, birthdays and school formals. We are true locals that love to promote our city and all that Townsville has to offer. We relish nothing more than hearing about all the great times our clients have had with the photo booth and we work hard to make sure we uphold the highest level of service for you. On the weekends when aren’t bringing photo booth hire to Townsville events, we enjoy spending quality time with our family and friends, and lapping up the beautiful North Queensland sunshine. We look forward to helping you with your Townsville photo booth hire and making your event one that your guests will rave about! 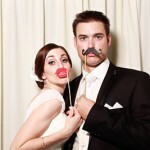 For Townsville photo booth hire, please get in touch today! "Thank you so much for the amazing photos and highlights reel, the Booth was a MASSIVE hit as I’m sure it is at all events. We are so glad we chose to have your booth at our wedding and would recommend you guys to anyone we are just so impressed with everything!!" "Ian and I would like to thank you for all your assistance with our wedding journey and for your excellent service during our wedding reception. We really appreciated how well Caroline and our guests worked together to capture some great photos for us to remember. 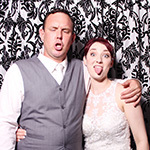 Caroline was very easy and friendly to work with and all our guests had a great night playing in the photo booth. 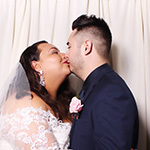 We thoroughly enjoyed our highlights video and we cannot wait to receive our USB with all of our wedding photos.We have also just completed your ABIA survey reflecting our thoughts. We will definitely recommend In the Booth to all our family and friends!" "Now that the craziness of the wedding has died down and our guests have all left, Matt and I would just like to thank your team, especially Tom, for your services on Friday at Riverside Community Centre. Tom was a hit with all the guests and they all spoke highly of him the next day. Your company has been great to work with. Very professional and great with the communication. Matt and I look forward to the video messages to come our way. Once again thank you for helping make our day extra special. We will certainly recommend your services to people should it come up in conversation." "Hi Alyssa and Caroline! I just wanted to send a massive thank you your way for how amazing my experience with In the Booth Townsville has been! It was such a HUGE hit the night of the wedding! Caroline, you were so kind and fun at the reception! Thank you for creating our little guest book!!!! I am just blown away with how easy and quickly the process was and how quick we received the sneak peek and our portfolio of memories, not to mention the professionalism and presentation of everything provided! I have had so many people ask me about you guys following the event and I cannot praise or recommend you enough!! Thank you again!! " "Thank you so incredibly much for our sneak peek!! We laughed a lot and showed it to our parents who loved it! In regards to feedback, 5 stars all across the board! Every time we went to the booth Michael greeted us with a warm smile and told everyone to have fun. The booth itself was great and I love how much space there was inside so it made those usually tricky group shots possible! Throughout our whole journey the In The Booth Townsville team has been very helpful in our planning! We will definitely be recommending you and In the Booth Townsville to all our family and friends! Thank you again for assisting in making our day magical! " 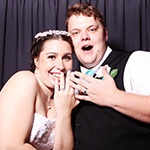 What is it you love about providing photo booth hire services in Townsville? One of our favourite things about the photo booth would have to be watching families come together around the booth. We love to see the reactions on people’s faces and hear their laughter when they see their photo strips. From the full bridal party, to the group on table 8, and even Nan and Pop – everyone gets involved! What happens in the booth stays in the booth… well, not really! But the curtain does create a fun space for guests to take some candid, playful photos and make lasting memories. Tell us about some uniquely Townsville touches you have seen at an event? With our over 300 days of sunshine a year (#Townsvilleshines) we love it when a bride embraces the local scenery. We have seen an array of different styles like native floral to vintage chic and of course beachy vibes. We always look forward to seeing a decorated event space and know that our photo booth will compliment any style perfectly! Whether we can bring our photo booth to events outside of Townsville. Yes, we do travel. We are proud to say we service most of North Queensland! Townsville has some amazing surrounding towns such as Ayr, Ingham and Charters Towers. We are more than happy to take the short ferry ride over to beautiful Magnetic Island. We have been as far as Collinsville and Bowen and up North to Cairns and Port Douglas; needless to say we love a good road trip! We have both recently planned our own weddings and know how much attention goes into every last detail. This adds to the atmosphere but it is also important to think about the overall experience you are creating. Make your aim that everyone has fun! This will be what your guests remember most. Having great music, a good MC, delicious food, and of course hiring a photo booth will really make your night an event to remember. When in Townsville you must… ? Soak up the sun at the Strand or stroll the award winning Jezzine Barracks. A must is to hike Castle Hill for an amazing outlook on the city. A 20-minute ferry ride will take you to Magnetic Island with its pristine beaches and national parkland. For the thrill seeker you can scuba the local reefs or skydive right onto the beach. Catch a game and cheer on our North Queensland Cowboys! There are also many great places to eat, drink and socialise. Townsville is a relaxed place and has a lot to offer everyone!